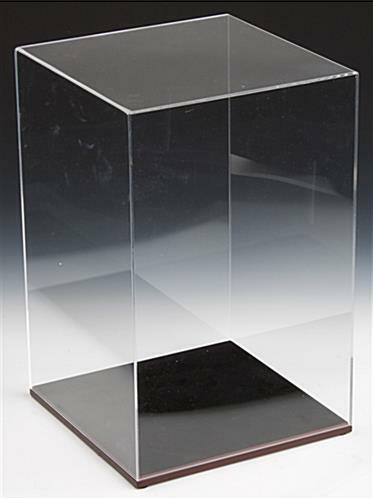 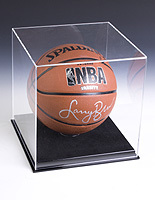 Clear Collectible Display Cases Measure 11.3"x17.5"x11.3"
These clear collectible display cases are great for displaying trophies, awards and other mementos in their 11.3"x17.5"x11.3" interior. 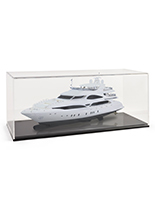 The collector's showcases are great for placement in homes, offices and even for displaying merchandise in retail environments. 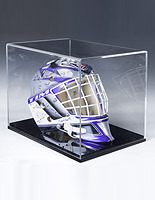 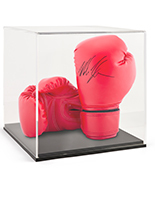 Each of the display cases features a lift-off cover that protects trophiess and memorabilia from moisture and dust. 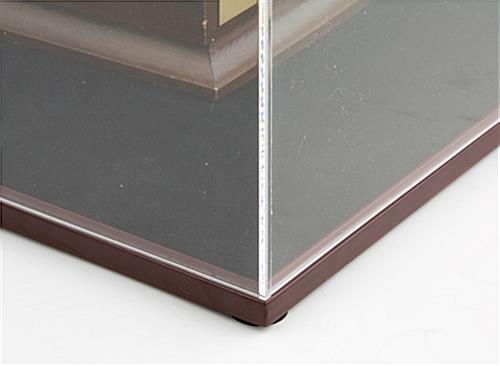 The retail and residential holders have a large square shape that makes them ideal for featuring model cars, antiques and figurines. 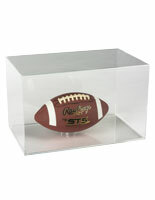 The award cases are made to be placed on counters, shelves and tabletops and are made with a laminated MDF base. 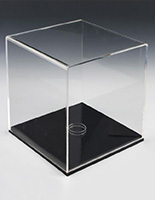 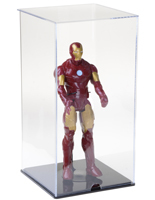 The collector's showcases feature 0.125" thick acrylic that will last for years. 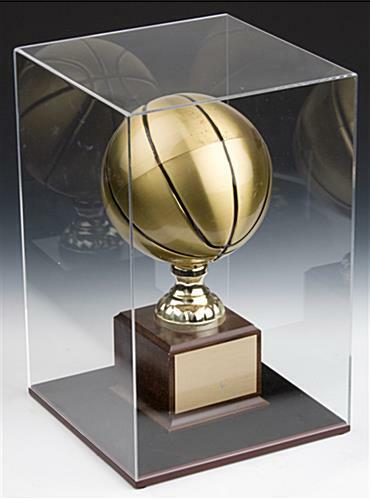 11.3" x 17.5" x 11.3"
11.0" x 16.6" x 11.0"
11" x 17" x 11"